Which Type of Visa Do You Need to Travel Abroad? If you’ve never traveled abroad before, you might not really even know what a visa is, or why you’d need one. To put it simply, a visa is a document that provides you with visitation rights to another country. Think of it like a hall pass: It explains what you’re doing in the country, and for how long. Depending on what you are doing in the country, you’ll have a varying amount of time to be within the border without having to do more paperwork or request an extension. Although there are many – many – types of visas you can apply for. But for the purpose of this article, we’ll focus on the four most popular types of visa people use when coming into the United States. These visas allow visitors to stay in the country for specified periods of time, and dictate their purpose for being in the country. However, this does not mean visitors must adhere to a strict schedule. While the period of time in which they are allowed to stay within the country is quite stringent, they are allowed to use their free time however they choose. Those temporarily coming to the US on business can apply for a B-1 visa. Travelers applying for a B-1 visa know exactly how long they will be in the country, and their documentation will reflect this. 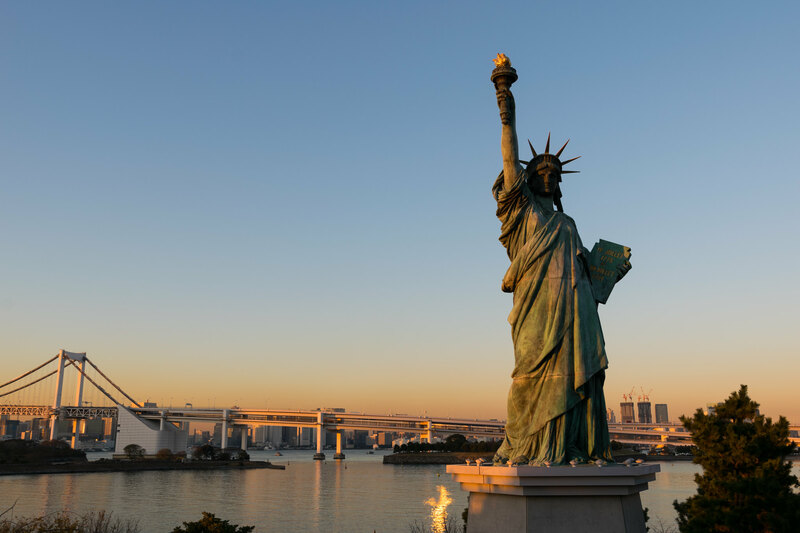 Though those entering the US on a B-1 visa will performing occupational duties for an international company throughout their stay, they aren’t limited to actions only pertaining to work. In other words, people with a B-1 visa aren’t going to be thrown out of the country if they attend a professional ballgame or Broadway show. In lieu of a B-1 visa, many travelers can apply for an ESTA waiver if they hail from a specific country. A J-1 visa is colloquially known as a visitor exchange visa. J-1 visas are most often granted to college-age travelers looking to come to America to work in temporary positions in order to gain fieldwork experience and training. Candidates for a J-1 visa are usually recruited from a specific area at once, allowing hosts in the US to accommodate to a single demographic. Those visiting the country on a J-1 visa can take jobs ranging from camp counselors to teachers, or may remain as students or apprentices. Students who have recently graduated with highly-specialized degrees apply for an H-1B visa. These students usually work in fields in which other countries consistently outperform their American counterparts – including computer programming, medicine, and mathematics. Visitors applying for an H-1B visa must be able to provide documentation that confirms their skills are on-par with the degree they currently hold. An H-1B visa allows recent graduates to live in the US for three years, and up to six or ten in special circumstances. Although the main goal of accepting workers under an H-1B visa is to recruit skilled workers, doing so also promotes cultural diversity in the workplace, as well. An H-2B visa is a cross between the J1 and H1B visa: It allows travelers from other countries to come into the US during periods in which seasonal employment increases. Typically, these jobs are either very labor-intensive or simply require increased manpower. For example, during the spring and summer months, the US may accept young adults from other countries to work as lifeguards or ticket-takers at water and amusement parks. In the winter, those looking for work as snowplow drivers may be accepted into the country. After the season winds down, however, the workers’ visas will expire.